As BJP goes into 2019 polls, one man leads the army. Everyone else is a lieutenant, far diminished in stature in comparison to PM Modi. 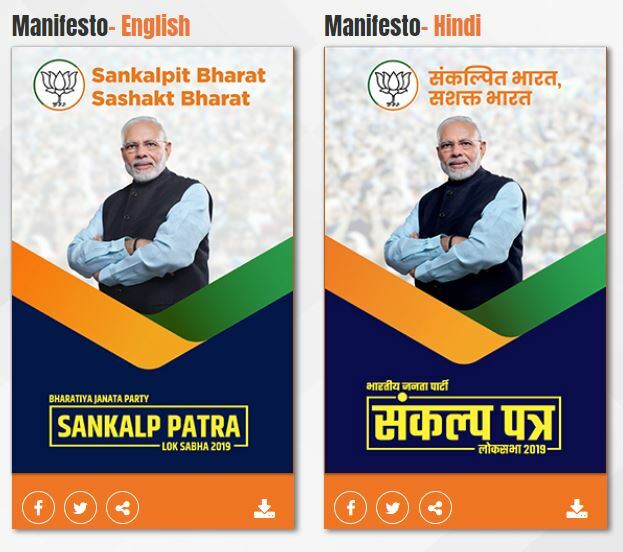 The Modi-fication of the BJP is complete and nothing demonstrates this better than the cover of the party’s 2019 poll manifesto that was released Monday. Look inside, and the contents reflect the shift away from creating jobs, fixing the unemployment crisis and putting the economy on a growth path to issues of national security. The surgical strikes of 2016 and the Balakot strikes of February 2019, both inside Pakistan, are briefly mentioned but their significance is clear. Now contrast the 2019 manifesto with the 2014 poll manifesto when the Modi government was swept into power on the back of the anti-corruption movement launched by Anna Hazare and which pretty much demolished the Congress party. 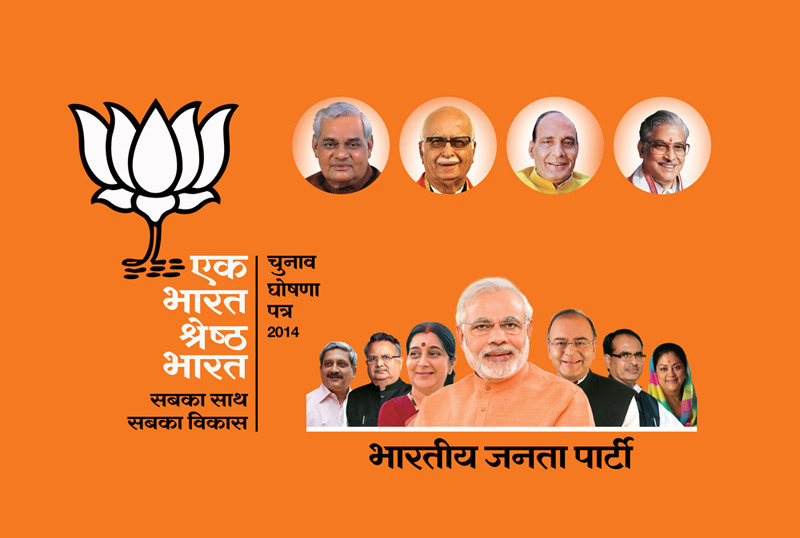 The 2014 cover features all the BJP’s biggest leaders. From Atal Bihari Vajpayee to L.K. Advani to Murli Manohar Joshi and Rajnath Singh to younger leaders like Arun Jaitley, Sushma Swaraj and Vasundhara Raje. Modi still held front and centre; he had the biggest photo on the cover. But he is one of many, the captain of the BJP Eleven, supported in his effort to dislodge the Manmohan Singh government by a full team of heavyweights. In 2019, there is only one captain and his name is Narendrabhai Damodardas Modi. The pretence of having L.K. Advani involved in even the smallest way in the BJP manifesto was formally dropped. There was no telephone call, no courtesy call, nothing, asking him to come to the manifesto launch. The six-time MP from Gandhinagar and BJP founder gave way to party president Amit Shah weeks ago, who is now standing from the seat. It seems Shah did go to meet Advani later last evening at 5:30 pm, much after the event. Perhaps Advani’s last blog on how the BJP was never in favour of demonising the political opposition and calling them “anti-national” did the trick of erasing him altogether from Modi’s pantheon. Even past president Murli Manohar Joshi was not invited. Certainly, the old order must give way to the new, and Advani at 92 has to cede poll position. But what of external affairs minister Sushma Swaraj? No wonder she has said she will not contest the 2019 election. Having been more or less marginalised from decision-making in India’s foreign policy, in favour of National Security Adviser Ajit Doval, Swaraj kept her pride and turned to do the next best thing: Working hard with NRIs and Indians abroad, so that she became lovingly known as “Aunty Sushma”. Vasundhara Raje and Shivraj Singh Chouhan, former chief ministers of Rajasthan and Madhya Pradesh, didn’t find their hoary places on the cover because they lost in their states. But what about home minister and head of the manifesto committee Rajnath Singh? As the BJP goes into the 2019 polls, one man leads the army. Everyone else is a lieutenant, far diminished in stature in comparison to Modi. No wonder BJP candidates fighting this election, including those close to the RSS, are obliterated. Votes, at least in the Hindi heartland, are coming in Modi’s name, not in the names of the candidates. In Bisada village in western Uttar Pradesh, where the first lynching of a Muslim man (Mohammed Akhlaq) in the name of the sacred cow took place in 2015, voters are angry about sitting BJP MP Mahesh Sharma (“he has done no work”), but remain exultant about Modi. Significantly, and despite everything, there’s no Modi wave. Certainly, the BJP will fight tooth and nail for every seat, but the fight is taking place in Modi’s name. The candidate is irrelevant, he or she doesn’t matter. Also read: Is BJP manifesto strong enough to make voters bring back Narendra Modi in May 2019? Ujjwala yojana gas cylinders are identified with Modi, and this is whom women are likely to vote for. 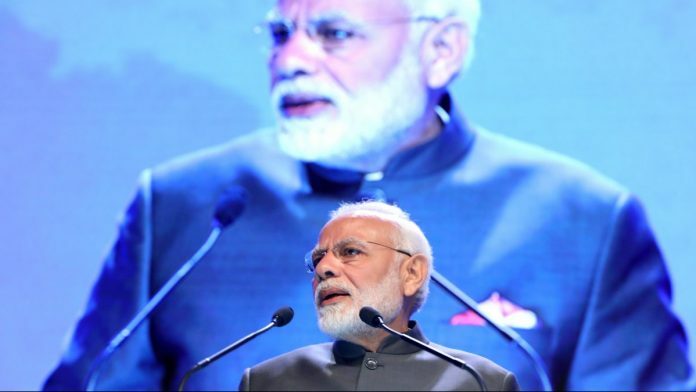 Surgical strikes and giving Pakistan a good bashing appeals to the Indian machismo culture– Modi is responsible for the “ghus-ghus ke maarenge” slogan. Even former police commissioner, outgoing junior HRD minister Satyapal Singh, fighting from Baghpat in western Uttar Pradesh, who considers himself a “man of science” told me that he “cannot comment” on the PM’s remarks about surgeries in ancient India, notably how Ganesha got an elephant’s head. Interestingly, the Modi machine is being challenged in 2019 – perhaps this is the most important story of this election. Despite their differences and ego clashes and unhealthy past histories, the value of the “mahagathbandhan” between Mayawati of the BSP, Akhilesh Yadav of the Samajwadi Party and Ajit Singh of the RLD, at least in Uttar Pradesh, is that it offers the voter an alternative to Modi and the BJP. Will the voter bite? That’s another debate. For the time being, Modi’s juggernaut has challengers. If India has been described as a land of million mutinies, it may be that some take place in these elections. Shows Modi’s capacity to take risks. He cannot be so foolish as not to understand that BJP’s failure will lead to a massive personal fall with a ton of bricks tied around his neck. India’s democratic colosseum is packed, and eager to see how this gladiator performs. The “ man of science “ is on record disagreeing with Charles Darwin because “ no one actually saw an ape turn into a man “. Even the most friendly channels are giving the Alliance about 45 seats in UP. They are also conceding Bengal to Didi. Some of their predictions on R / M / C are readily discarded. Expect a lot of lamppost’s to be uprooted in the summer storm.